An art boom is sweeping through the Middle East. Collectors are crowding into auction houses and art fairs, and cleaning out galleries of pieces worth hundreds of thousands of dollars each. 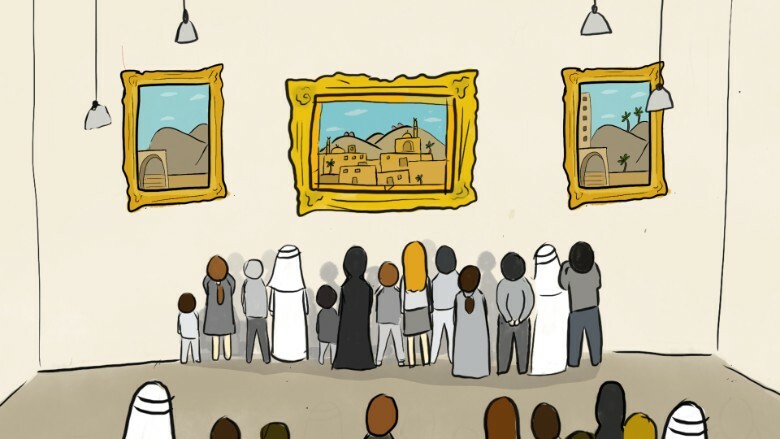 Countries such as the United Arab Emirates, Qatar and Saudi Arabia are investing heavily in the arts and culture, building new museums and hosting exhibitions. That's encouraging a new generation of art lovers. One such collector is Mohammed Al Baker. He made his first serious purchase about three years ago. It was by a Lebanese artist. "I saw his work on social media and I got obsessed with it," the former Qatari banker said. "I lost sleep trying to find this specific art work from this specific artist." Since then his collection of Arab, Iranian and Western art has grown to about 40 paintings, including the work of American contemporary artist George Condo. His most sentimental purchase was from a friend, an emerging Palestinian/Saudi Arabian artist, Dana Awartani. "I don't gamble with art," he told CNNMoney. "Most of the artists within my collection are institutional artists... at least this gives your collection a solid base." Al Baker says he spent between $2,000 and $500,000 for each art work. Some are in secure storage in Europe, while others hang in family homes. His story is repeated many times across the region, driving rapid growth in the art market over the past decade. 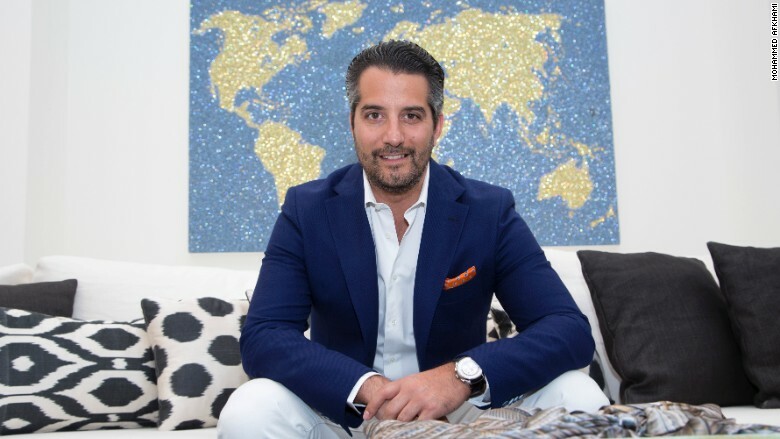 Sotheby's says the number of Middle Eastern clients participating in its global sales has risen by 76% over the past five years. The surge in interest from the United Arab Emirates is even stronger -- participation there is up 157%. That's why the venerable auction house opened its first gallery in the region in Dubai last month. "We've studied the numbers closely and in terms of capital allocation it makes perfect sense for us to be opening at this time," said Edward Gibbs, Sotheby's chairman for the Middle East and India. "The statistics... have built a compelling case for building a compelling presence in the region." Rival house Christie's said its Middle Eastern Art sale in Dubai last month generated more than $8 million and set new world auction records for 18 artists. As the commercial capital of the UAE, Dubai has also become the hub for the regional art scene. To support the growth, the city has set aside 500,000 square feet, or 11.5 acres, for art spaces, galleries and creative businesses. The annual fair, Art Dubai, offers a showcase for dozens of galleries from around the world, such as London-based Victoria Miro, Sfeir-Semler from Hamburg and Beirut, and Krinzinger from Vienna. "The [region's] former cultural capitals were places like Baghdad, Beirut, Damascus, Cairo," said Myrna Ayad, fair director at Art Dubai. 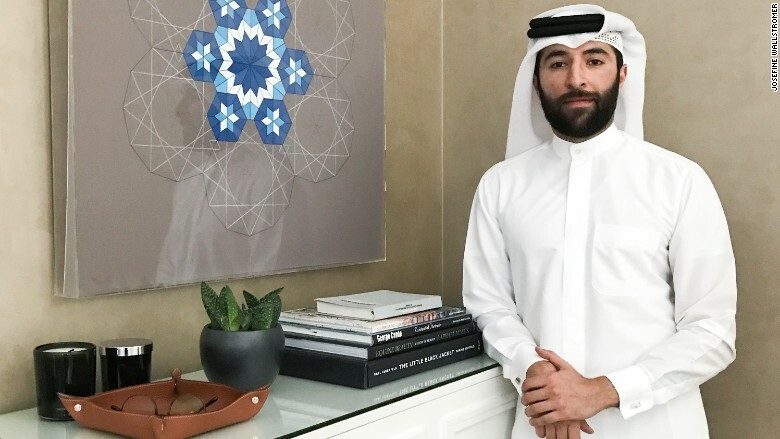 "But due to political and economic challenges, the dynamic shifted and it's now here in the Gulf... Dubai, Sharjah, Abu Dhabi, Doha, even Jeddah are now culturally active." Art Dubai's 11th fair, which ended in March, witnessed the strongest sales numbers to date. "We sold most of [the art at our] booth... within hours of opening," said Glenn Scott Wright, co-director of Victoria Miro gallery. Prices ranged from $20,000 to $800,000. Experts say the growth in demand is creating a virtuous circle that will support the development of regional art. "The art scene is thriving in the Middle East," said Mohammed Afkhami, a seasoned collector of mainly Iranian art. "I sense a regional sense of pride when art from the region is discussed and the level of coverage in traditional and social media is making people more aware." Afkhami started collecting in 2005. Two years later, he paid a record price -- $601,000 -- for a work by a living Iranian artist, Farhad Moshiri. The work, Yek Donia, depicts the world using 90,000 Swarovksi crystals. Afkhami keeps most of his collection in storage, with a few pieces at home or in galleries around the world. But he doesn't think of art as an investment and has no plans to sell. "I continue to buy works except the only difference is that I am searching for more rare works today than in the earlier phase of the collection where I was building it up more broadly." Al Baker, on the other hand, has already sold the very first piece he so desperately wanted, for a tidy 30% profit. "I did make money and this was one of the reasons why I had to sell it," he said. Correction: An earlier version of this story misstated when Mohammed Afkhami paid a record price for a work by a living Iranian artist.